Keeping a long overdue promise to visit Stefano Bigi at his family's lake house. We're speeding down the face of Mt. Sasso Del Ferro in the Italian Alps at break-neck speed on a vintage BMW R80, headed for the shore of Lake Maggiore. I'm here in Laveno to keep a long overdue promise to visit Stefano Bigi at his family's lake house. When Stefano picked me up at Malpensa yesterday he was tired. He was exhausted, physically, mentally and I couldn't help but notice, spiritually as well. He had put his heart and soul into preparing the new collection of Bigi ties for the menswear trade show, PITTI Uomo, in Florence. It was Friday and the collection was boxed up and shipped off. He was spent and was now on his way to his beloved Laveno to recharge his battery. Stefano leans aggressively into a hairpin turn and I wonder what I've gotten myself into. If he was tired yesterday, he doesn't show it today. After picking me up from the airport yesterday, it was a quick drive up to the lake where we stopped at Bar Vela, a lakeside café, for bresaola and a beer. Stefano looked out over the lake as the sun set and confessed, "If I didn't have this place to come to, I wouldn't be able to do what I do." 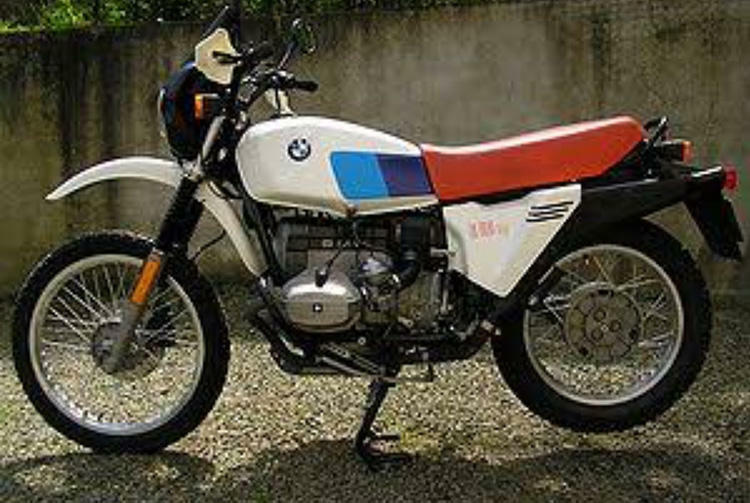 BMW R80G/S. "Stay out of loose gravel.Stay out of loose gravel." We pop up out of one hairpin and immediately lean into the next one. He's feeling it now. Stefano is home and he knows it. This is his birthright. His family has lived on this mountain overlooking this lake for generations. His father, Daniele, came here to escape the Allied bombs raining down on Milan during WWII, just as his mother, Franca, sought refuge with her family on Lake Como. There's a short straightaway and Stefano guns the engine, nearly sending me flying off the back of the bike. I grip the bike tighter with my knees and burn my ankle on the engine. Damn! I swallow the pain and lean with Stefano into the next turn, our legs only inches from the pavement. the boat which Stefano made in his childhood. lovely drawing by Stefano's daughter. Heading to Isola Pescatori for lunch at Verbano. Waxing lyrically at a lakeside table at Verbano, on Isola dei Pescatori. Afternoon jam session with Bob Marley. Linguini at Cucina Bigi,on the other day. Beautiful cravatta of Stefano Bigi for 2019SS at Pitti Stand. this year, 80years annivesary for Bigi cravatta. with Stefano and MEN'S EX editors at Pitti Stand. Copyright © SEKAIBUNKA PUBLISHING INC. Allrights reserved.